JR Motorsports rookie Tyler Reddick ended the 2018 NASCAR Xfinity Series™ just like he started it - with a win on one of the sport’s biggest stages. After taking the race lead in Stage 3, Reddick wheeled his No. 9 BurgerFi Chevrolet Camaro like a seasoned veteran, running high on the track and lapping the field. His no-holds-barred driving put his team in Victory Lane and clinched the 2018 NASCAR Xfinity Series™? championship title. 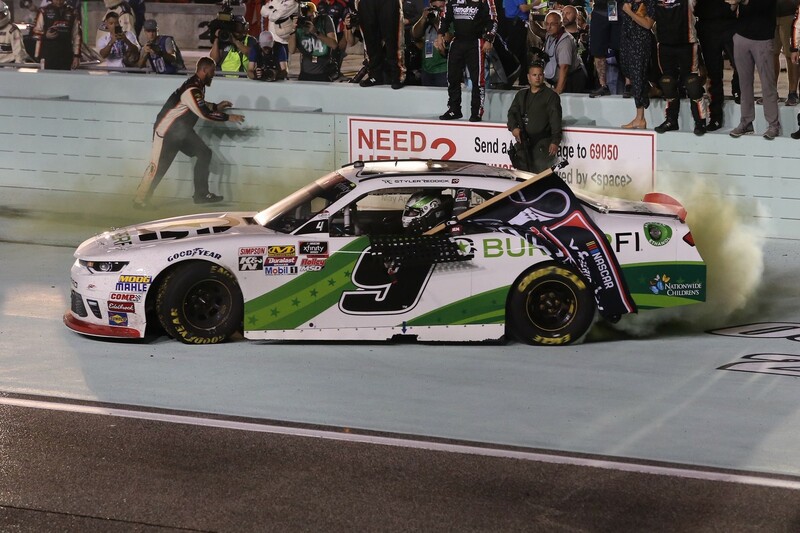 Now Lionel Racing is excited to offer the Homestead Win die-cast of Reddick’s BurgerFi Chevrolet. Each is detailed with all the damage seen on his car after the race and comes with a collector card and a small bag of confetti. Don’t miss it. Order now!